The places and cities we live in influence our lives immensely. People who choose London as their home base understand that thе capital inspires greatness. Not only is it brimming with shopping centres, high-end universities, business and career opportunities but it’s also rich in history and culture. That’s why many celebrities choose to move to London. As a benefit for the crème de la crème of our society, the UK’s capital is also much less saturated with frenzy fans and obtrusive paparazzi, which makes it far less stressful. Wonder what exactly is it that attracts the richest and most powerful people on earth to London? Read on because we’ll take a closer look into the London areas they choose to move their homes in and why. 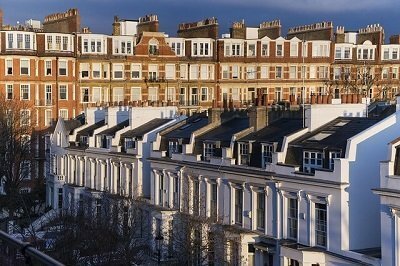 When thinking of celebrities and where to move to London, the place that comes to mind first is Notting Hill. It grabbed everyone’s attention back in 1999 when the romantic comedy of the same name starring Julia Roberts and Hugh Grant came out and took over the world. Since then, it has become an iconic place that everybody has to visit at least once in their lifetime. Today, the romantic area attracts many musicians with its colourful homes and the vintage market where you can find old Dior, Hermes and Chanel clothing and accessories. 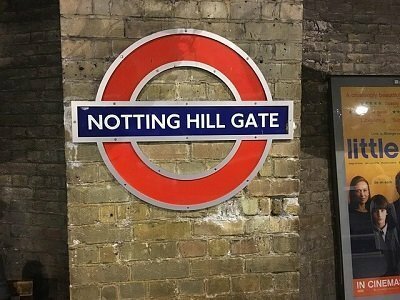 If you choose Notting Hill as your permanent residence, there’s a chance that you’ll encounter Damon Albarn, Robbie Williams or Bjork on your daily strolls through this part of town. Many young celebs and pop stars choose to move to Fulham because of the cheeky little shop displays the streets have to offer, the colourful galleries and fabulous brunches in Manuka Kitchen. Wonder how we gathered the intel? Simply take a look at the part of Fulham Road known as “The Beach”, and you’ll notice their convertible Porsches parked just outside the many gastropubs. Fulham is also an attractive spot because of the hangout areas such as Durrell Arms, so moving a house here definitely appeals to those under the spotlight. If you’re young, beautiful, and rich, Fulham is your perfect place to move a house. Kensington & Chelsea: Why Pick Them? Exclusivity and luxury are important criteria for many high-end celebs who choose to move home in London. And that’s exactly what Kensington and Chelsea have to offer. Homes here grab stars’ attention with fancy roof gardens, state of the art man caves, huge walk-in wardrobes and underground swimming pools. All in all, multimillion-dollar properties that have everything you could ever imagine. With its charming and rich in history Georgian architecture, the area attracts celebrities in the likes of Victoria and David Beckham, Kylie Minogue, Eric Clapton, Rowan Atkinson, and Madonna. While it may be too expensive to move to this part of town, you can always take a walk during the weekend. Who knows, maybe you’ll spot the idols grabbing a cuppa from the local gourmet coffee shop. Amongst the things that celebrities find attractive about the area is the peacefulness of Richmond Park. If you’re lucky, you can spot Sandra Bullock, Tom Hardy, David Attenborough or Mick Jagger roaming around since the stars have chosen to call this place their home. The Richmond Theatre, where performances are in limited runs, is also a huge cultural spot popular within celeb circles. And the neighbouring architecture offers anything — from modern apartments to Victorian mansions — to tie up the decision to move a house in the area. On the northwest side of this royal park is the area of St. John’s Wood – one of the most saturated with celebrities spots in London. Many stars have chosen to move their homes in this picturesque part of the city, so you will encounter them on your day-to-day walks if you decide to relocate here as well. Names of the like of Ewen McGregor, Sir Paul McCartney, Kate Moss, Keith Richards, Lily Allen and more enjoy the perks that the region has to offer. 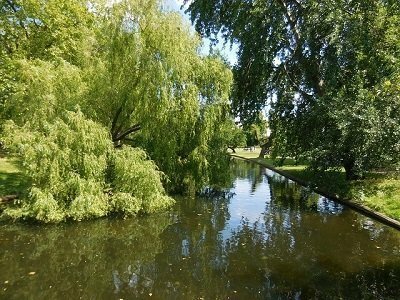 Not only is it beautiful, but the park is with huge cultural value and full of activities – you can find everything from sports to theatre here. There’s no doubt about it, relocating to London will inspire you and make you shine no matter what you do. But before moving, make sure to taste each area we mentioned and choose the one that feels like home.